One day after pro-independence Catalonians allied with Spain's conservatives to defeat the budget proposed by the leading socialists, Spanish Prime Minister Pedro Sanchez has called for snap election to be held on April 28, what would be Spain's third general election in fewer than four years. Calls for an election were widely expected following the budget's defeat, since passing legislation has become a challenge for the socialists, who hold only 84 of the 350 seats in Spain's parliament. The anti-establishment Ciudadanos and the Catalonians, who helped the socialists stage the successful no-confidence vote that led to the ouster of former conservative PM Mariano Rajoy last year, haven't been as willing to work with the socialists on budgetary and other matters. "Between doing nothing and continuing without the budget and calling on Spaniards to have their say, I choose the second. Spain needs to keep advancing, progressing with tolerance, respect, moderation and common sense," Sánchez said in a televised address to the nation following a cabinet meeting. "I have proposed to dissolve parliament and call elections for 28 April." Wall Street analysts aren't optimistic about the election's prospects for streamlining the political process in Spain: Instead, they "will likely result in a more fragmented and polarized parliament, in which no two parties will gather a stable majority," according to UBS’s Spain CIO Roberto Scholtes Ruiz. Base case is moderate pro-reform center-right grouping of PP and Ciudadanos parties, possibly supported by new entrant "far- right" Vox Market reaction to uncertainty likely to remain muted as economic growth, budget deficit reduction, low risk of market-unfriendly coalition from the left of center to keep Spain “out of the spotlight". 1. How did things go wrong for Sanchez? Sanchez’s government was always built on sand. With only 84 deputies in Spain’s 350-seat chamber, the Socialists persuaded both Catalan separatists and the anti-establishment group Podemos to back the no-confidence vote that ousted the conservative Mariano Rajoy in June. But Catalan demands for a referendum on independence, and the Socialist party’s pledge to defend Spain’s constitutional order, meant that alliance was always likely to prove short-lived. 2. Which parties are the front runners? Spain’s political map has splintered since Rajoy took office with a landslide election win and an absolute majority in 2011. A consolidated survey of polls compiled by El Pais newspaper shows the Socialists in the lead with 24.4 percent support followed by the conservative People’s Party with 20.7 percent and the liberals of Ciudadanos at 18 percent. Support for Podemos has slipped to 15 percent, while Vox, a nationalist party, has come from nowhere to notch up 10.6 percent. There are many moving parts and much could change but one possible outcome could be an alliance on the right of the PP, Ciudadanos and Vox. Those groups have been competing to take the harshest line on Catalan separatism and already collaborated to eject the Socialists from power in Andalusia after regional elections in December. Economy Minister Nadia Calvino on Thursday dubbed the trio "the right with three heads." 3. What do investors make of it all? 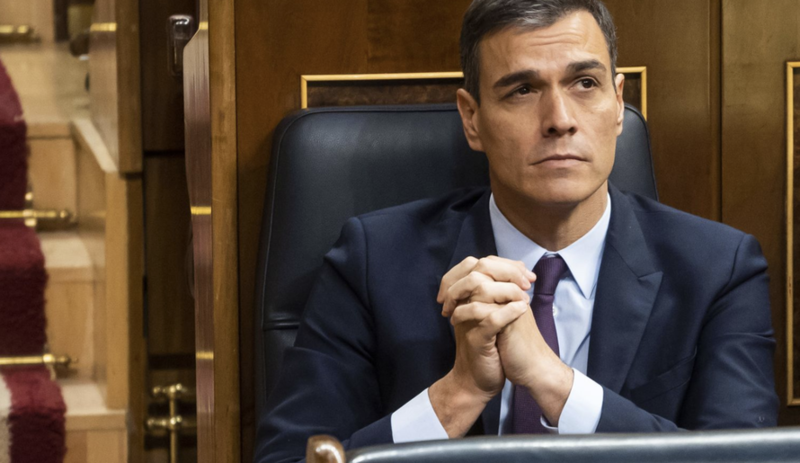 While Spanish bonds wobbled at the first hint of snap elections early in the week, they held steady through Sanchez’s loss in parliament as investors took the chances of a change of government in their stride. The 10-year securities ended Wednesday trading little changed and yielding 1.23 percent, after the budget was blocked. 4. Has Sanchez achieved much with his time in government? The weak Socialist presence in parliament meant Sanchez had to rely on governing by decree as he struggled to pass key legislation. A major theme of his government has been rolling back the effects of the austerity that followed Spain’s financial crash of 2012. He approved a unprecedented 22 percent increase in the minimum wage and embarked on the biggest public sector hiring program in a decade. He also pledged 2 billion euros ($2.26 billion) to fight youth unemployment and made a stand against gender violence. 5. How’s the economy doing? After 21 straight quarters of growth, Spain’s economy remains a bright spot in the euro zone. Growth unexpectedly accelerated in the fourth quarter propelled by consumer and government spending. The Bank of Spain expects growth of 2.2 percent this year, compared with 2.5 percent in 2018, though that will still be faster than the euro-area average. Calling for a vote is a serious risk for Sanchez. Though his socialists remain the most popular single party in Spain, commanding more than 30% of the public's favor according to recent polling, a coalition of right wing parties commands a larger aggregate share of the public's support.